New Game Mode – Warzone Firefight: Warzone Firefight is, by far, the biggest content release since the launch of Halo 5: Guardians! As a result of the beta in April, 343 Industries has taken player feedback to improve the game mode for launch, such as increasing the difficulty each round and adding brand new bosses and vehicles – including the hilarious (and deadly) Grunt Goblin boss and the powerful UNSC VTOL, AV-49 Wasp, deployable as a REQ vehicle in all Warzone modes and available to use in Forge. 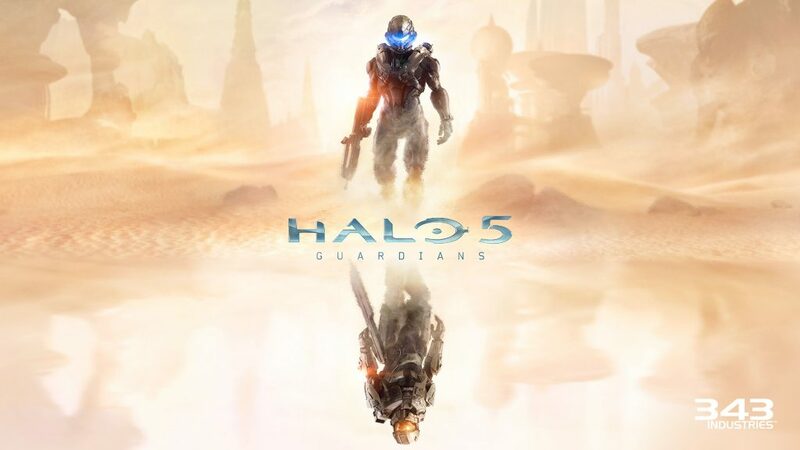 Check out Polygon and IGN to get a sneak peek at both of these new additions to Halo 5: Guardians. New Campaign Feature – Score Attack: As detailed on Halo Waypoint, the Warzone Firefight content release will include a new way to play Halo 5: Guardians’ campaign – Score Attack! Campaign scoring makes a return to Halo 5: Guardians, enabling players to compete against their friends for points and medals in online co-op play or solo. Remember – in Score Attack, the points do matter so be sure to defeat enemies with style and flourish! New Maps – Attack on Sanctum, Prospect and Molten: The free Warzone Firefight release brings three new maps across multiple game modes: Attack on Sanctum, Prospect and Molten. In the Attack on Sanctum map for Warzone, revisit the Covenant homeworld of Sanghelios, or take it to the rocky roads of Prospect for Warzone Assault. For Arena players, Molten will be a hot new Arena map – be sure not to fall into the stream of lava! New Forge Canvas – Tidal: Since the release of a new super-charged Forge mode for Halo 5: Guardians in December, Forgers have been hard at work creating some of the most unique, creative and innovative maps ever seen in Halo. The Warzone Firefight release brings a fan-requested canvas, the ocean-themed Tidal. No longer will players have to struggle to find water to Forge on – it’s literally everywhere on Tidal! New REQs Items: Warzone Firefight adds several new REQ items, including the Cinder and Cyclops armor sets, Covenant vehicle and weapon variants, HCS Pro League weapon skins and additional customization sets.